Alex Armstrong, an Ottawa native, has put down roots in the Bow Valley the past 7 years. 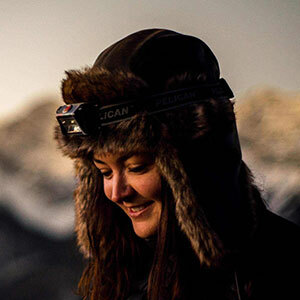 Originally coming from a ski racing background, she is now pursuing professional skier dream living in her camper with a sled in tow and filming. Alex translates her passion for skiing into skiing as much as humanly possible by spreading the good word of stoke! 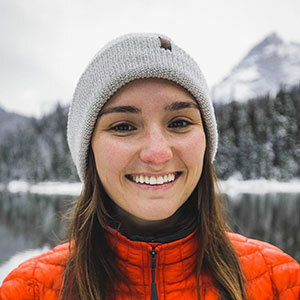 Based out of Banff, she continually pursues adventure in her backyard and hones her skills to play safe in the mountains. She is currently sponsored by The North Face, Blizzard/Tecnica, Smith Optics, Banff Soul and Ski Big 3. 25-year-old Amanda Timm has been skiing since she could walk. In February 2011, she broke her back in a big mountain ski competition that paralyzed her from the chest down. Within 10 months she got back on the snow, but this time in a sit ski. At first, she didn’t like this form of skiing, it was the hardest thing she had ever done, to go from one of the best female big mountain skiers in the area to not being able to connect two turns, but that didn’t stop her. Amanda has progressed to the stage where she can get down any terrain and ski with whoever she wants which has been her goal all along. 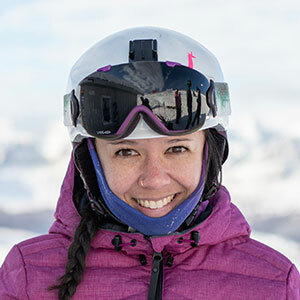 Amanda has had several accomplishments: making the Canadian Para Alpine Ski Team, becoming the first female sit skier to descend Delirium Dive, getting back into the back country with cat skiing, and being the first sit skier to ever compete in a big mountain competition at SkiBig3’s very own Lake Louise Big Mountain Challenge. Brittany grew up in a small town in New Brunswick, spending all her days in the rink or on the ball diamond since she was 3-years-old. Her love for the game allowed her to compete at a national level and continue to push boundaries for females in the sport. Born in a time when the ski school was cool and hot dog meant more than just a tube of meat. 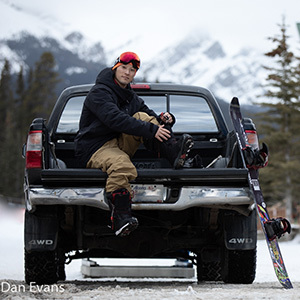 Dan was born in Alberta and grew up ski racing around the Rocky Mountains. He chased a passion for snow and moved to Banff National Park fourteen years ago and found his home among a community of like-minded adventurers. 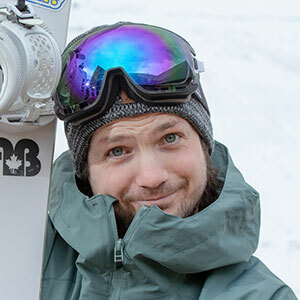 He has been working in the media world for the last ten years producing content for the likes of Freeskier, Powder, Travel Alberta, and Destination Canada. Now a proud parent to a six-year-old mountain enthusiast, his time is split between teaching his son the subtle nuance of pizza and French fries, and exploring gravity fed thrills in Alberta’s best ski areas. From the moment she first visited the Canadian Rockies in 2014, Gabby knew that the Bow Valley was where she belonged. Originally from Montreal, skiing has always been a big part of her life. She grew up in the Laurentian Mountains, teaching skiing and chasing after snow every winter. This feeling of freedom, the incredible welcoming community as well as the lifestyle here in the Bow Valley stole her heart. She has followed her dream and has moved permanently to the Rockies. Gabby brings people together. Skiing allows her to live her passion while being surrounded by the people she loves. Now, the endless mountain ranges in her backyard offers the opportunity to improve her skiing even more. And she couldn’t be happier to call this place her home. 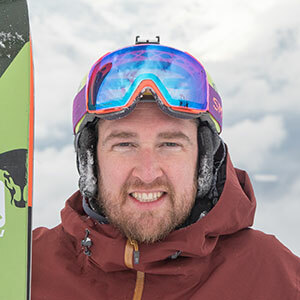 Jack Fowler, born and raised in Alberta, grew up skiing in the Bow Valley with his family, where he learned just how fun winter can be in The Rockies. It is his Uncle, who showed him at a young age how to ski fast and since then he’s tried to make as few turns as possible. Growing up Jack always had a love for the adventure and exploring the outdoors. Living so close to Banff, he has been able to foster this natural curiosity in both summer and winter. During the winter, Jack enjoys hot lapping the resorts with friends. The Bow Valley has so much to offer in natural beauty, from lakes to endless mountains, and it is where he has chosen to spend the majority of his life so far. This enthusiasm for the outdoors has helped him grow a strong interest in photography and writing. Jack looks to share his adventures through his blog (link: www.cultivatestoke.com). Skiing has aided him in enjoying what Banff National Park has to offer. His hope is that others will enjoy these mountains as much as he does, and pass on the stoke to others. Raised in the Rockies, Juliette made her first turns at Sunshine, Lake Louise and Norquay. Her travels since then have taken her to every continent, but she’s always been drawn back to home turf and is stoked to be representing the Ski Big 3 resorts this winter. Juliette spends her days working in tourism marketing, her evenings thinking about powder turns and her weekends at home in the mountains. She’s pretty much positive that she was a better (read: fearless) skier at ten years old than she’ll ever be as an adult, but that that doesn’t stop her from making the most of all the resorts have to offer! 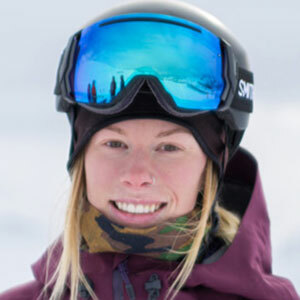 Kate Targett grew up skiing at Lake Louise, before perusing competitive freestyle skiing with the Southern Alberta Freestyle Ski Club (Sunshine Village) and eventually Alberta Mogul Team. Kate competed in mogul skiing internationally, but eventually decided to give up the sport and pursue a degree in Geology. Kate is currently completing her last year of studies at Mount Royal University in Calgary, AB. 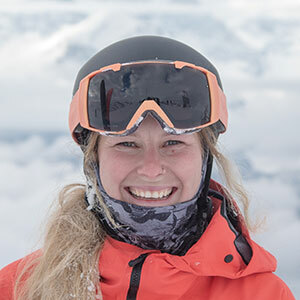 Along the way, she discovered big-mountain skiing and has competed on the Freeride World Qualifier circuit locally (1st place female ski-Wrangle the Chute 2017; 13th overall female-FWQ 2017), while balancing full time university studies and coaching the freestyle team at Sunshine Village. 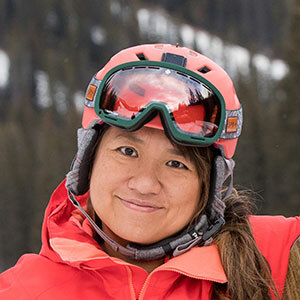 She loves inspiring the next generation of freestyle skiers and is passionate about motivating her athletes to be well rounded, skiers for life. When she’s not skiing, you can find Kate on the river fly-fishing, or on the trails mountain biking. Luke has been in the Bow Valley since he was ten-years-old. He snowboards at all three resorts frequently , and started skiing at Norquay when his family moved from Winnipeg to Calgary. He would ski with the Nancy Green ski club and the Bow Valley Quickies, until he eventually started snowboarding. He has competed in Slopestyle and halfpipe, and went to nationals in 2007. He loves to ride powder and big mountain, and in the spring the terrain parks. He never misses the change to ride the North American on a powder day. Matt was born in Banff and raised in Canmore. He grew up skiing all over North America, and occasionally overseas as an alpine ski racer. He learned from some of the best skiers – his father Nick, and uncle PeterMonod, who raced at an international level. They showed him two very different styles of skiing, and an absolute passion that he is forever grateful for. Matt got a lot out of racing, but is still learning style refinement from local skiers and riders at the top of their game, like the Capel brothers and some local snowboarders he rides with. 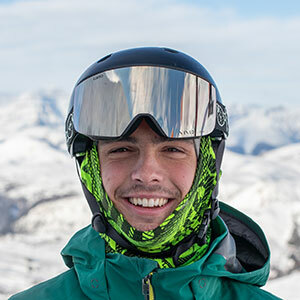 Matt doesn’t plan on pursuing skiing as a career, but he loves all aspects of it and is excited to represent his local turf. 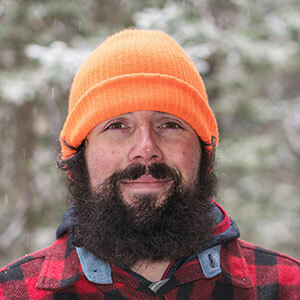 Mikey is a thirty-something skier living in Banff with his wife Jessica and their bunny rabbit Freddy. He first learned to ski at the age of 12 on dry slopes in England where he grew up (he imagines it as a big upside down brush that rips your skin off). When he was 18, he spent a ski season living and working at Sunshine Village where the light, fluffy snow and huge expanse of stunning peaks blew his mind. He left for university studies, but could never get the Rockies out of his head. He returned to Banff permanently in 2009 to pursue his dream of sliding around on snow a lot. Since then, he has tried to ski as much as possible – averaging over 100 ski days a season. He likes it all, but his obsession is steep, technical and exposed alpine terrain which the local resorts serve up in abundance. Beyond the mountains and the skiing, his favourite part about the Bow Valley is the incredibly warm and welcoming local community. Michelle is from Toronto, Ontario and started skiing when she was 3 years old. She grew up travelling to the Rockies on family ski holidays, and answered the call to the mountains after university. Michelle loves the endless variety of skiing in the Banff area, and she values the strong sense of mountain community in the Bow Valley. When she’s not skiing at the SkiBig3 resorts, she enjoys backcountry ski touring, rock climbing, hiking, and yoga. Her favourite colour is pink, she loves a good cup of coffee, and her spirit animal is the unicorn. 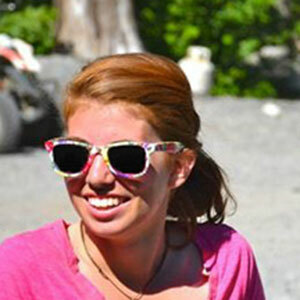 Michelle is an ACMG Assistant Hiking Guide and a 200-hour RYT yoga instructor. Michelle started riding on the icy slopes of Newfoundland until her passion moved her to Banff 21 years ago. Since then, she’s followed her passion all over Europe, the lower 48 and Alaska in 2008, where she entered her first Freeride competition. 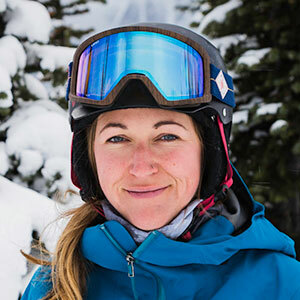 The following season, her freeriding won the overall North American title after competing on a series of qualifying Freeride events, “The North Face Masters”, and has since won the overall two more times, making her the overall champ for North America in 2016. Michelle fulfilled a life goal in 2015 and became the first female Canadian snowboarder to ever qualify for the Freeride World Tour (FWT). She lives for riding big lines with steep chutes, cliff drops and lots of pow. She loves Banff and believes if you love something and are passionate about it enough to do it every day, you’re bound to get good at it. Growing up playing hockey and running competitive track and field, Renee picked up some skis in university and never looked back. 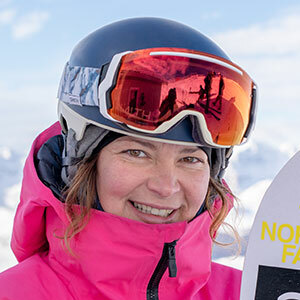 Finding a love for big terrain as a ski patroller for Lake Louise, she began to compete in Freeride World Qualifier (FWQ) events. The exposure and endless big lines make these mountains the perfect playground for freeride skiing. Recently having gone back to school for an accelerated nursing program, Renee spends every possible moment away from her studies skiing in the Bow Valley. Nothing cures a case of stress like the jaw dropping vistas in Banff National Park and strapping skis to her feet. With only one year left in her program, her career goal is to work in the emergency room at Mineral Springs Hospital in Banff, as close as possible to the mountains that she loves. When she isn’t skiing or at school, you’ll find her riding her mountain bike or hiking with her dog. 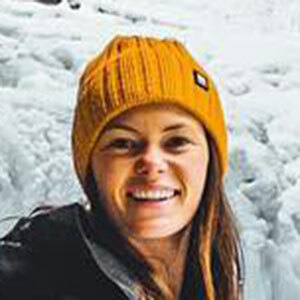 Renee is supported by Sego Ski Co., Outside Bike and Ski, Hydroflask, and Yeti Research Co.
Shannon grew up in Western Australia, far from the mountains and the snow. But like many of the Aussies you’ll meet in Banff and Lake Louise, once he got a taste of the Canadian Rockies he knew this would become home. Arriving in the area with a snowboard, he now spends more time on skis and can be spotted both at the resorts and in the backcountry. He spent five winters working in the marketing departments of Lake Louise and Sunshine Village, hosting film crews, professional skiers and international media. He also worked as a ski photographer and guide for cat skiing and backcountry tours in Hokkaido, Japan for two winters. A professional photographer and videographer, you might have seen his work in various magazines including Ski, Skiing and Snowboard Canada and The New York Times. Shannon also works as a digital marketing consultant and operates his own tour company ‘Tours With Photos’. Steph was born in a very flat part of Canada and it wasn’t until the age of 18 that she discovered the Rocky Mountains. A serendipitous ride she hitched took her from Prince Rupert to Jasper, where her jaw dropped as she laid eyes on Mt. Robson for the first time. She had only ever read about the Rockies as a kid, and to be standing in front of the real deal was a surreal experience she will never forget. Since that moment 13 years ago, she’s come to call the Rockies home. She thinks every season here is beautiful, but is of course most stoked on the winter months. She loves to snowboard because it allows her to get up close and personal with these humbling rocky giants. For Steph, it’s about being creative, choosing your line, quieting your thoughts and just goin’ for a rip. It wasn’t until Sue was 27 that she first touched snow. “Coming from Taiwan, everything in Canada was so new and fresh and clean.” Her first experience on snow was sliding down a snowbank at Rogers Pass in a parking lot – she had a lot of fun but never knew she could do this everyday! And now, many years later she is lucky enough to call Banff home. Choosing to live in an active mountain town and make this her life is an opportunity for her to be active and live large everyday. A decade ago Travis decided to ditch Calgary for Lake Louise, weekends in the mountains just wasn’t cutting it. While the city paid well, the lifestyle just wasn’t one he was happy with. Travis grew up at and around ski hills his whole life, whether it be Luge in Calgary or snowboarding in the mountains on the weekends. When doing projects in school it always revolved around snowboarding. After moving out to the mountains Travis spent lots of time skiing (or at least trying to ski) until Lake Louise would bring him on as a patroller for a year. Learning so much more about Louise, he fell further in love with this place and doesn’t plan on moving anytime soon! Travis has been spending lots of time lately with photography trying to show the world how beautiful and incredible this place is. Born and raised in a small country town 2 hours east of Melbourne, Australia, Vincent first strapped into a snowboard at age 14 on a school excursion. Since then his passion for snowboarding took him to his local resorts of Mt. Baw Baw and Mt Hotham every weekend of the short Australian winter seasons. Vincent was initially drawn to Banff for the snowboarding, but, as a photographer he spends his days off in the summertime hiking and back-country camping. On mountain, Vincent is found in the Terrain Park with friends and cheering on others but after a fresh dump, he is all about dropping cliffs and hiking for fresh lines. In Banff, he is a Bartender at Block Kitchen and Bar. Now into his 3rd season of snowboarding in the Bow Valley area he has no plans on leaving any time soon. 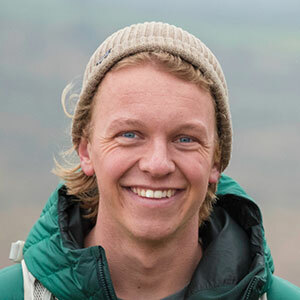 Will left his home and job in Sheffield, England as a car salesman back in 2014 planning on one winter ski season in the French Alps. Since then he’s chased the mountains, season after season in pursuit of new and exciting terrain. 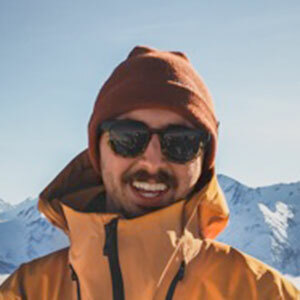 Working in France, Austria, Canada and USA as a ski holiday guide, his passion for skiing has become more of a lifestyle. He’s been a Banff local now for the past couple of years and loves the area. In the summers, you’ll finding him on multi-day camping trips with a ridiculously heavy pack; and in the long winter seasons, ski touring in the backcountry, snapping the odd photo or two along the way. His endeavor to create engaging and immersive images pushes him to climb new peaks, chase sunrises/sets and wait out the most elusive of wildlife. Catch him for a good cuppa (Yorkshire) tea, he’s always up for a natter! Yosk loves to smile big, and show visitors around his home here in Banff National Park, where he was raised. Born to Japanese parents, he’ll happily speak with an accent to make you laugh, or point you to the best places in town to get a drink. 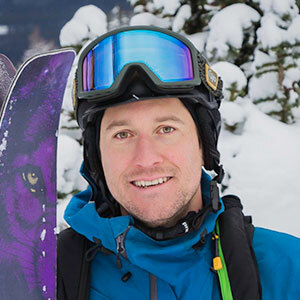 He’s as passionate about snowboarding, as he is dedicated to the community, as a firefighter for the Town of Banff. You can find him at the ski resorts on a powder day, or at the local rink with a couple of buddies (there’s a rumour going around that he used to figure skate). Regardless of what Yosk is doing, the mountains are his source of endless adventures, and where he feels most alive. A great cup of coffee helps too.